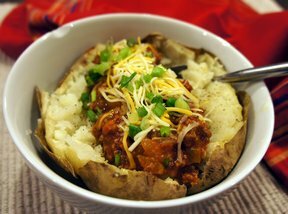 Scoop out the centers of the baked potatoes being careful not to break the shells. 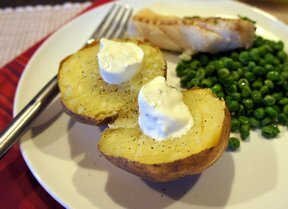 Whip the potatoes, salt, pepper and butter together until light. In a separate microwave safe bowl mix in the turkey, bread crumbs and gravy together and heat in your microwave for approximately 30-40 seconds. Divide this mixture between the potato shells and top with the mashed potatoes. 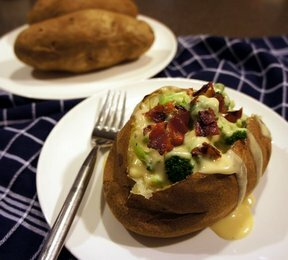 Bake in a 375° oven until potatoes are browned on top, approximately 20 minutes.